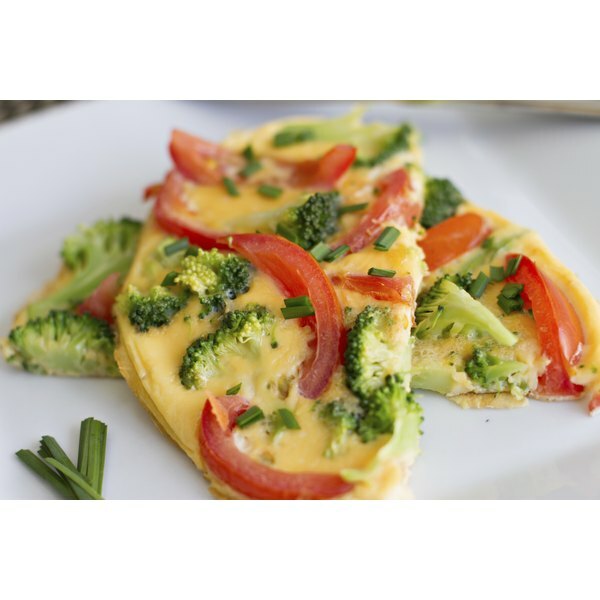 Make an omelet with vegetables for a gluten-free breakfast. Just because you can’t eat foods containing gluten doesn’t mean your diet has to be boring. On a gluten-free diet, you have a wealth of foods to choose from, including meat, fish, poultry, vegetables, beans, fruits, nuts, seeds and some whole grains. Steer clear of processed foods and stick with whole foods to maintain a gluten-free diet. If you’re accustomed to toast or cereal for breakfast, you’ll need to rethink your morning meal on a gluten-free diet. Try a poached egg on a bed of spinach or an omelet with vegetables; add a cup of mixed fruit for a big meal. For lighter morning fare, go with plain Greek yogurt topped with fruit and almonds. Gluten-free steel-cuts oats with chopped apple and walnuts is another good choice. You may equate lunch with a sandwich, but you have a variety of options on a gluten-free diet. Mixed greens topped with broiled chicken makes a satisfying lunch, but skip the salad dressing, which may contain hidden gluten; use a splash of oil and vinegar instead, or make your own dressing to control the ingredients. Fill half an avocado with tuna salad or cottage cheese for another gluten-free lunch. 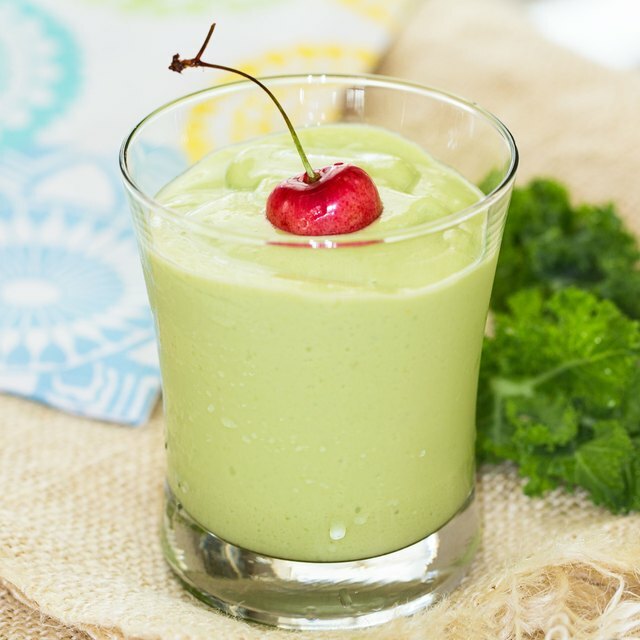 When you’re pressed for time, try a green smoothie made with soy milk, baby greens, frozen blueberries and your favorite gluten-free protein powder. Skip pasta for dinner, and enjoy grilled shrimp-and-veggie kabobs splashed with gluten-free tamari and served with brown rice or a cold lentil salad. Make your favorite taco, burrito or fajita recipe swapping the flour tortillas for corn or brown rice tortillas instead. Have a broiled lamb chop with steamed asparagus and a side of quinoa, which is one of the only plant-based complete proteins. Gluten-free foods line the grocery shelves, but these products are often made with refined gluten-free grains, which have been stripped of their nutrients, and have added sugar and fat to make them taste good. Products like these may actually contain more calories than their gluten-containing counterparts. Don’t fill up your cart with gluten-free breads, pastas, cookies and crackers; stick with whole foods for the best health and to avoid weight gain.